King Saul’s son goes to tell his beloved of his father’s dreaded decision. 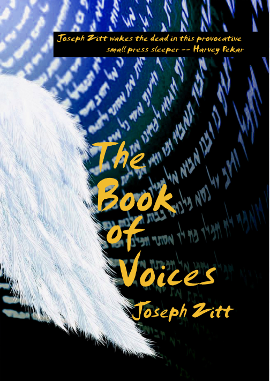 This was the first story to be written for what would become the second edition of The Book of Voices. I was asked to deliver a sermon at my mother’s synagogue when I would be visiting her town. I saw that on that sabbath, the day before a new moon, the service would include a reading of the Biblical text from which this tale is derived, so I decided to write and perform a new story based on it. Since I had already written a story from David’s point of view. this one was written from Jonathan’s. The very clear and beautiful story of the love of Jonathan and David is overlooked by those who would pretend that Bible is against such love between men. The Biblical text itself shows, however, that their love and relationship was not only allowed but celebrated by its writers.